"Think of the storehouse of skills that we have in our 8 million unemployed. A lot of them are willing to work. Some, not only willing to work but have skills vital to American industry. Think of that loss. Think of the far greater loss of the millions of people in management that cannot work. Dare not deliver to American industry what they are capable of delivering. Dare not. 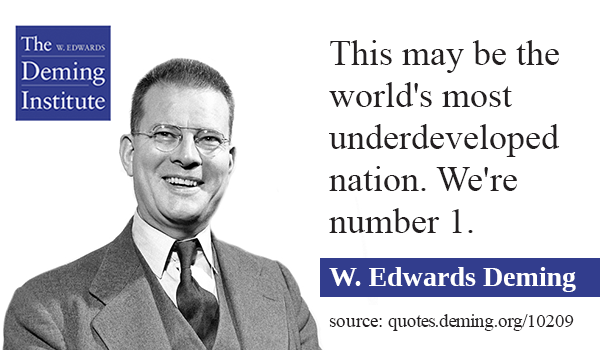 Put that all together this may be the world's most underdeveloped nation. We're number 1." 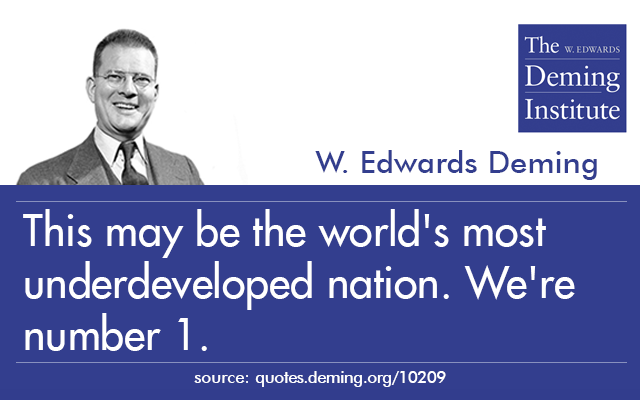 W. Edwards Deming speaking in an interview with Bill Scherkenbach in 1984. The idea is that we are wasting so much potential due to poor management practices.